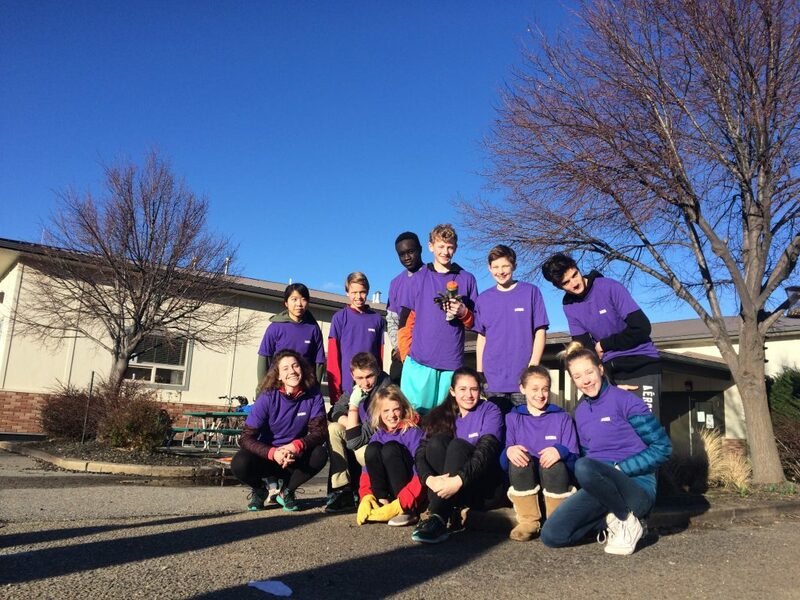 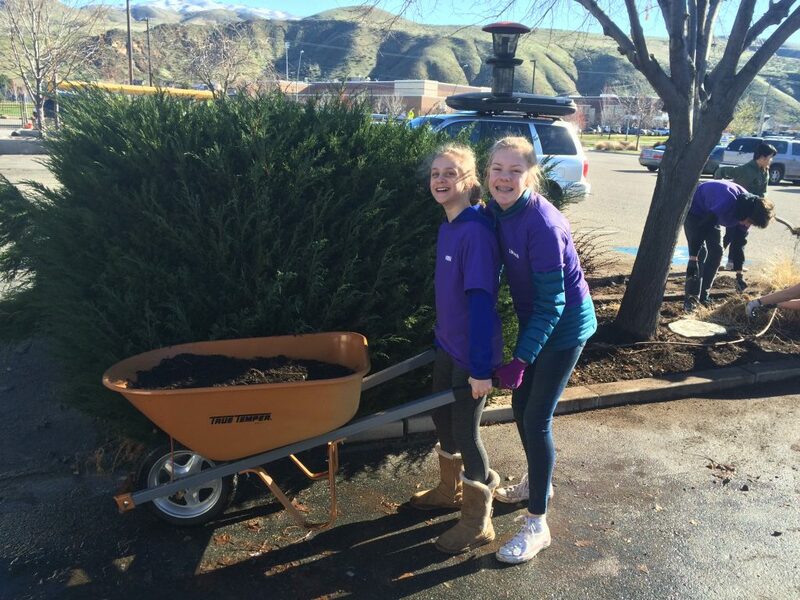 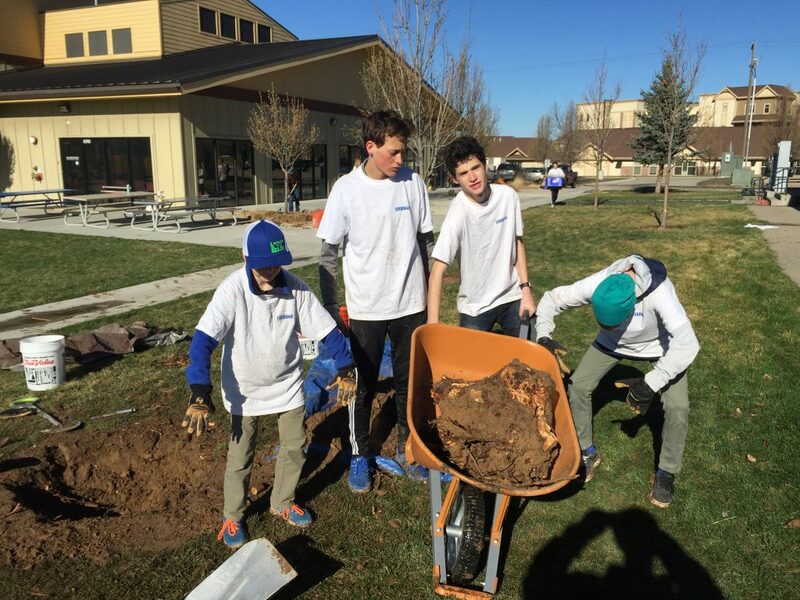 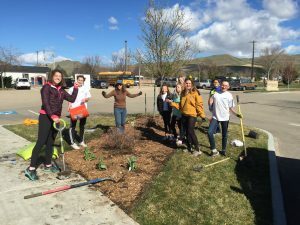 In the middle of March we hosted a day of service at Riverstone with many different goals in mind. 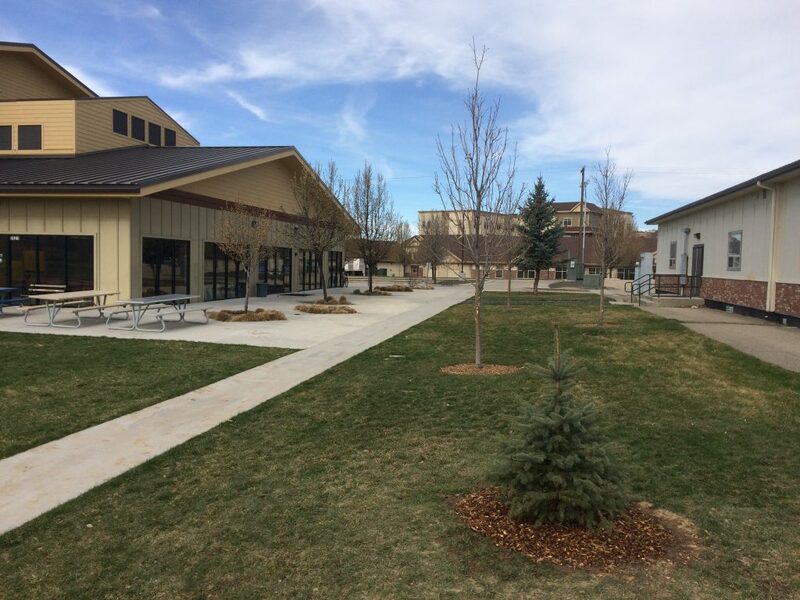 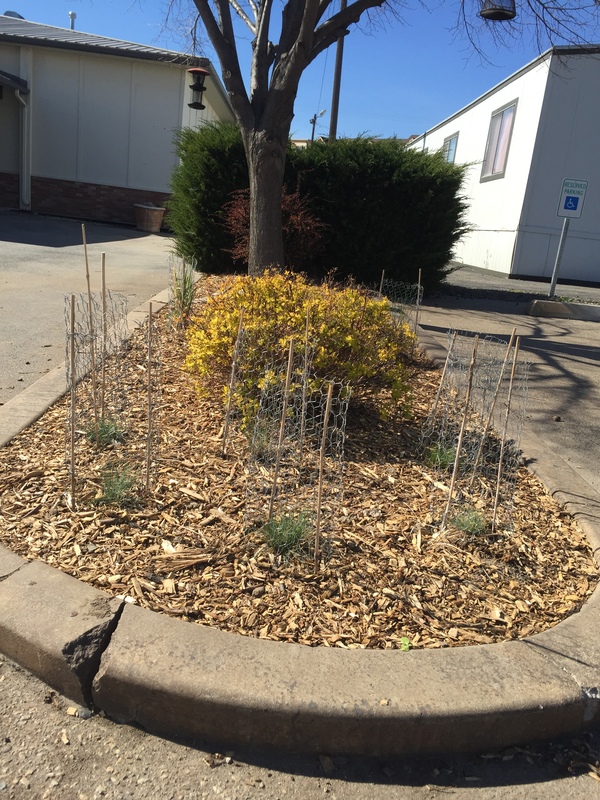 We wanted to maintain some of the existing areas of campus landscaping, add habitat of birds and tie it into the Butterfly Garden, and increase the area of campus planted with native grasses. 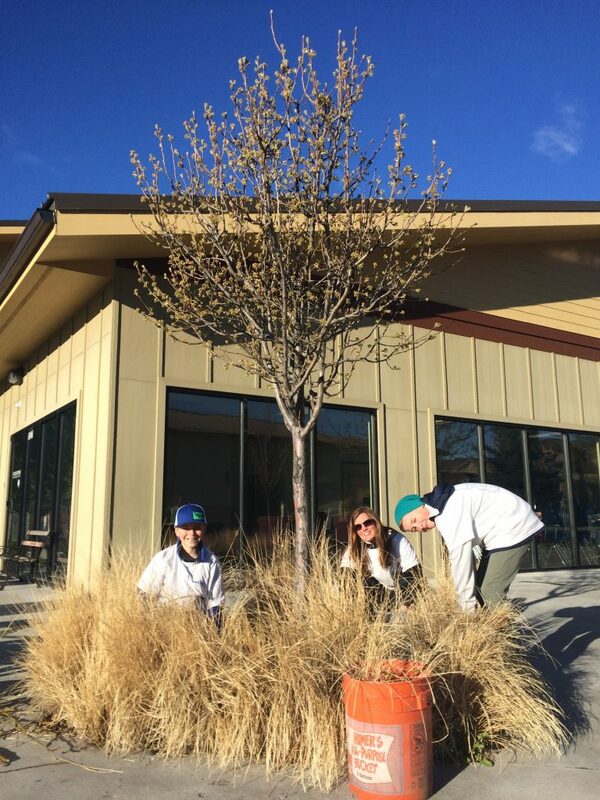 Thanks to Ben Brock, Linda Morrison and Kim Fall for making this a smooth and successful event! 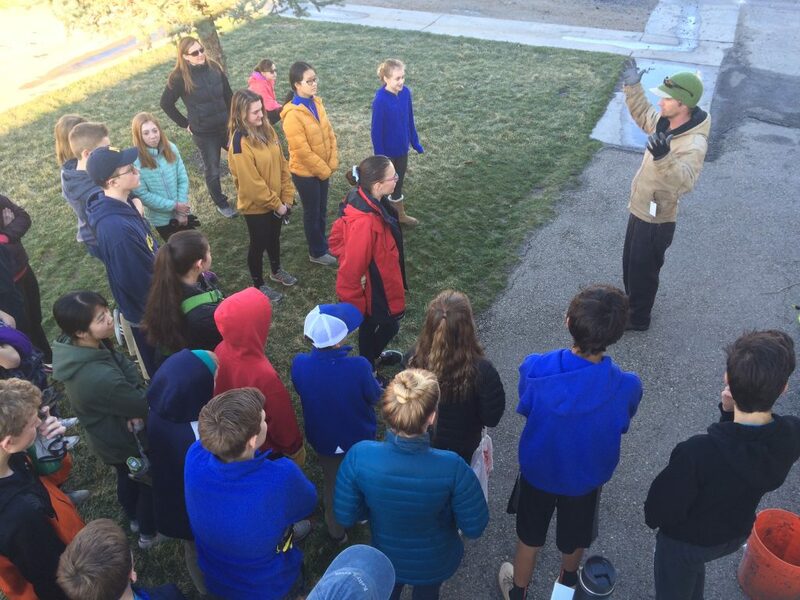 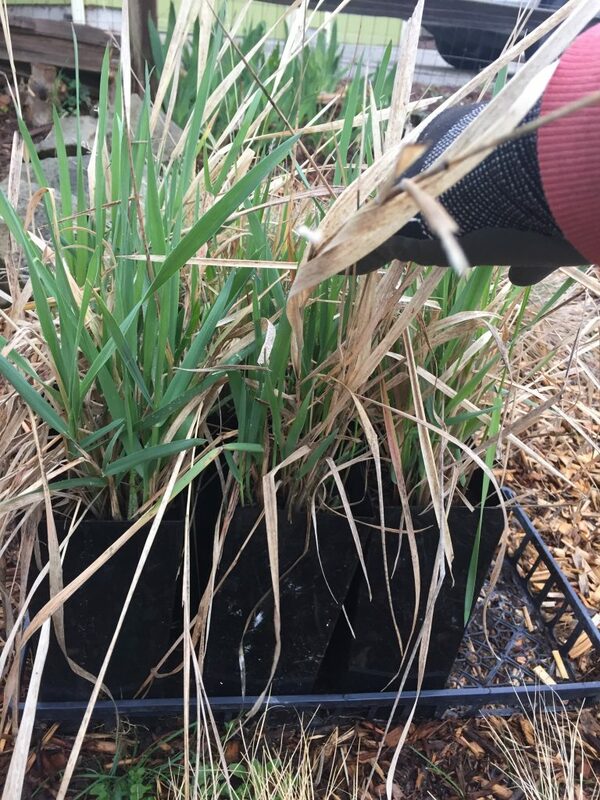 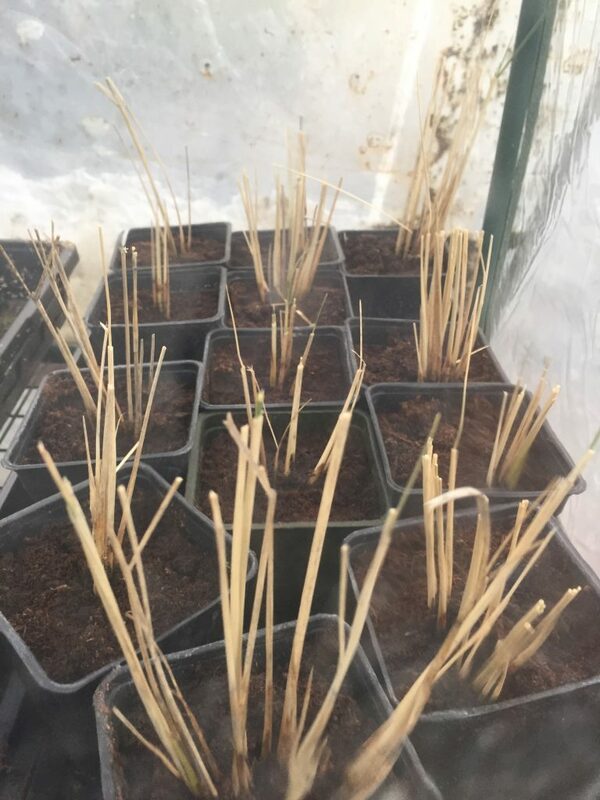 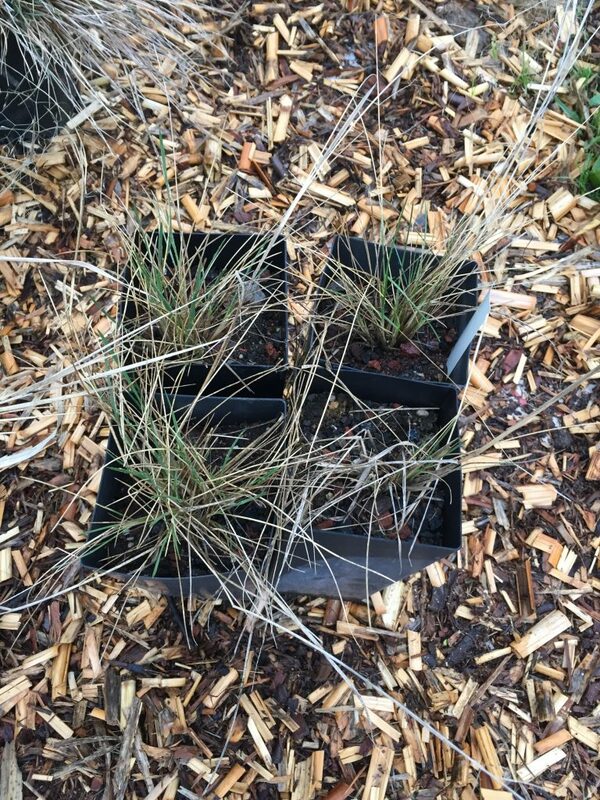 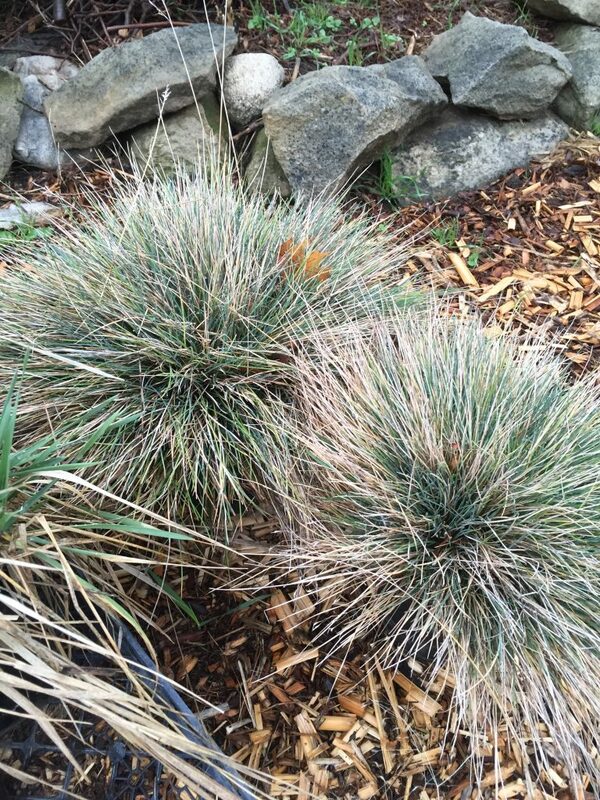 We selected these particular grasses because they are native, drought tolerant, and low maintenance, these will match the planting we installed for Day of Service last year! 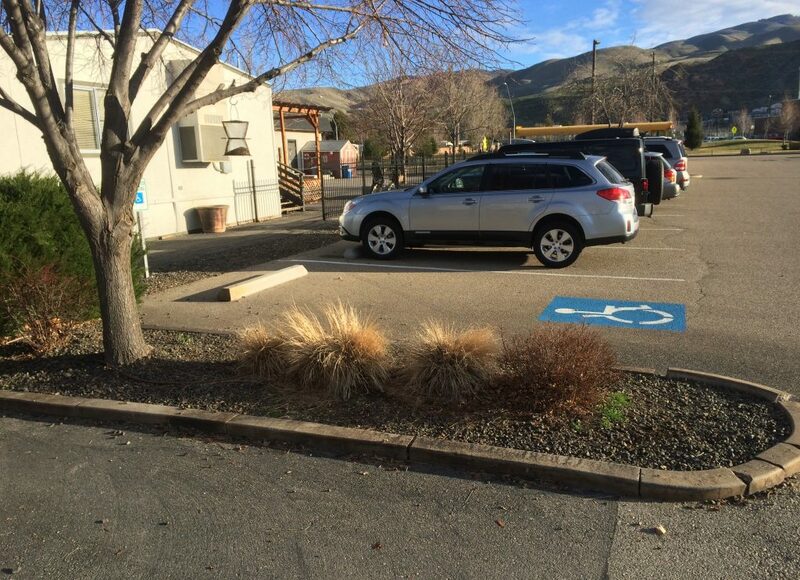 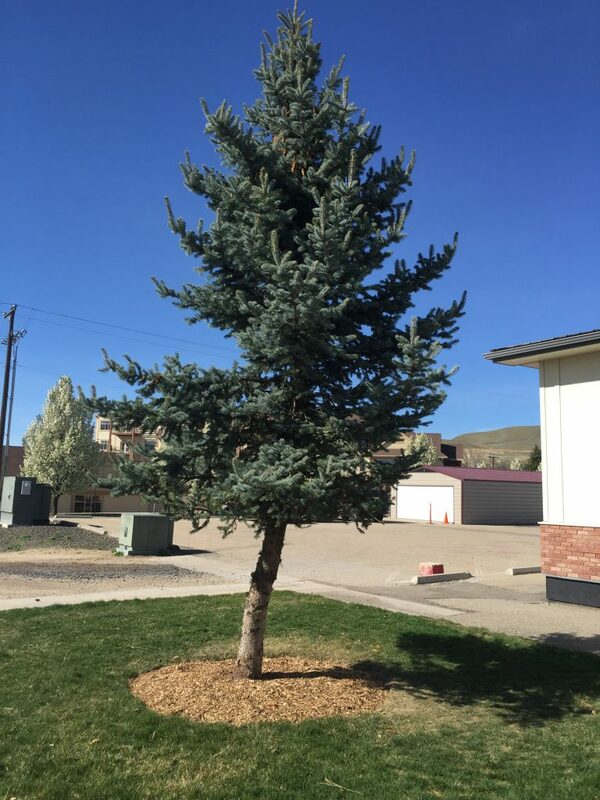 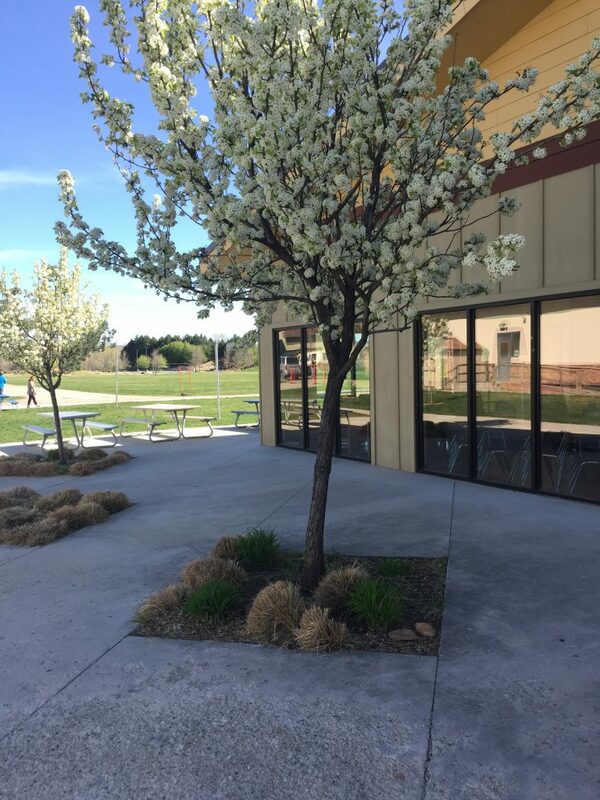 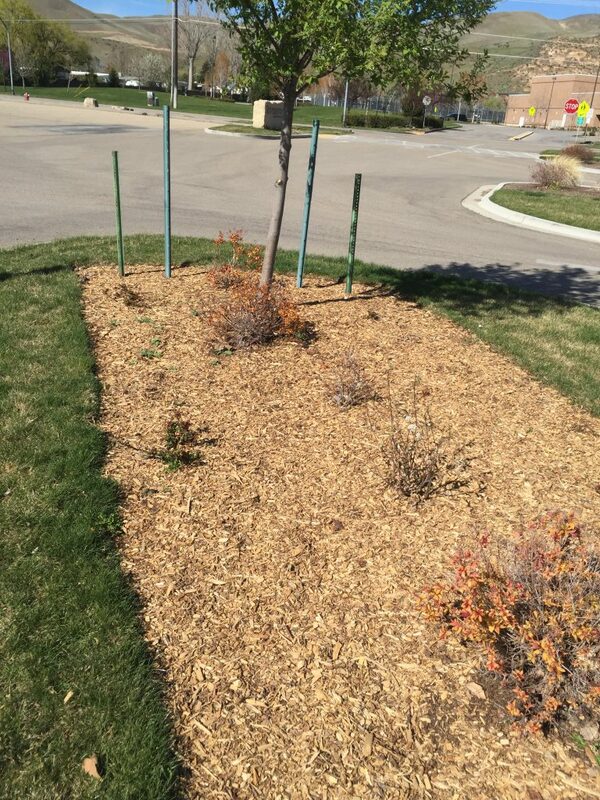 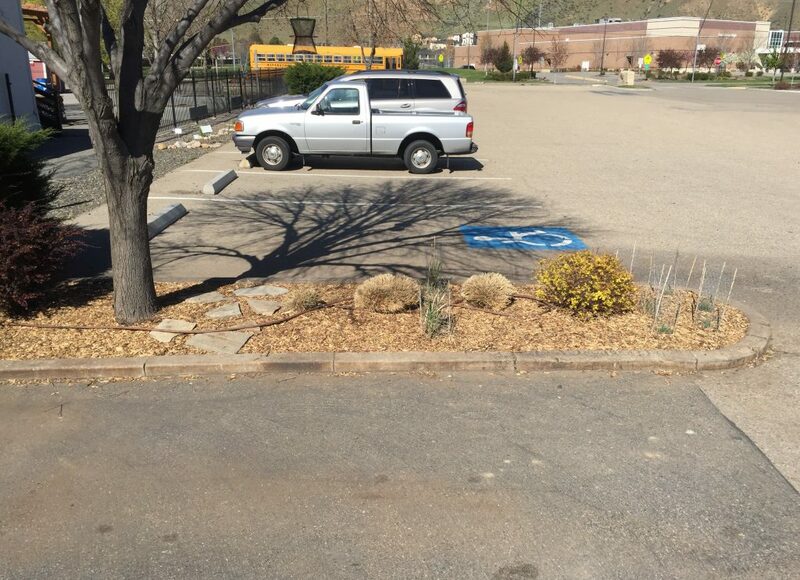 For one project we maintained the existing plantings in front of the the Gym. 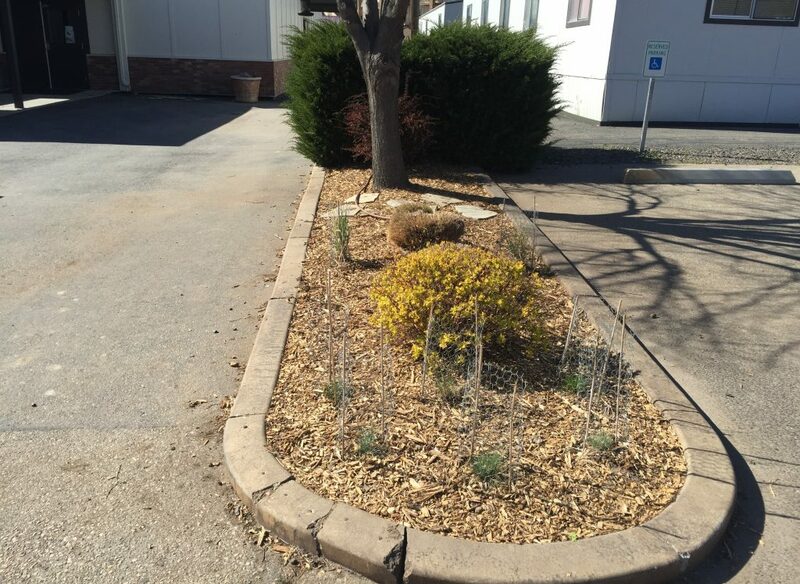 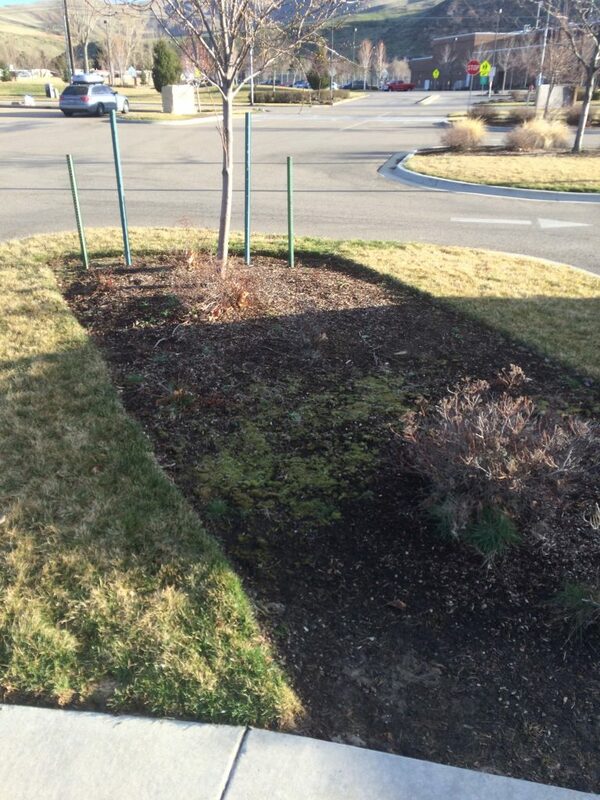 We trimmed the grasses, pruned out issues with trees, and edged tree wells into the turf and filled them with wood mulch- these will be much happier and healthier landscapes with just a little bit of maintenance!